Book: What Is Data Science? 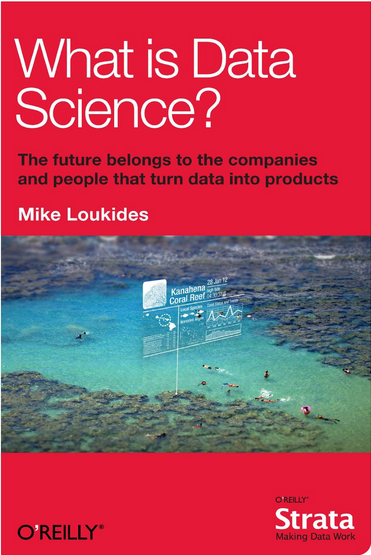 I just finished reading the book What is Data Science?. According to Martin Wattenberg (@wattenberg, founder of Flowing Media), visualization is key to data conditioning: if you want to find out just how bad your data is, try plotting it. Making data tell its story isn’t just a matter of presenting results; it involves making connections, then going back to other data sources to verify them. Data science requires skills ranging from traditional computer science to mathematics to art. According to DJ Patil, (@dpatil), the best data scientists tend to be “hard scientists,” particularly physicists, rather than computer science majors. Physicists have a strong mathematical background, computing skills, and come from a discipline in which survival depends on getting the most from the data. They have to think about the big picture, the big problem. When you’ve just spent a lot of grant money generating data, you can’t just throw the data out if it isn’t as clean as you’d like. You have to make it tell its story. You need some creativity for when the story the data is telling isn’t what you think it’s telling. The future belongs to the companies who figure out how to collect and use data successfully. Google, Amazon, Facebook, and LinkedIn have all tapped into their datastreams and made that the core of their success. They were the vanguard, but newer companies like bit.ly are following their path. 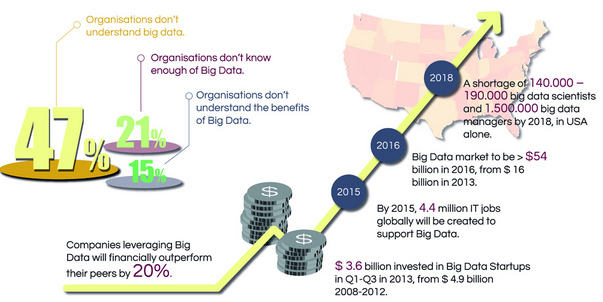 This graphic from BigData Startups shows that lots of organizations still do not understand Big Data and predicts a shortage f 140k-190k big data scientists and 1.5M big data managers in USA alone by 2018. I am reading a bunch of books and will probably do more of these posts. 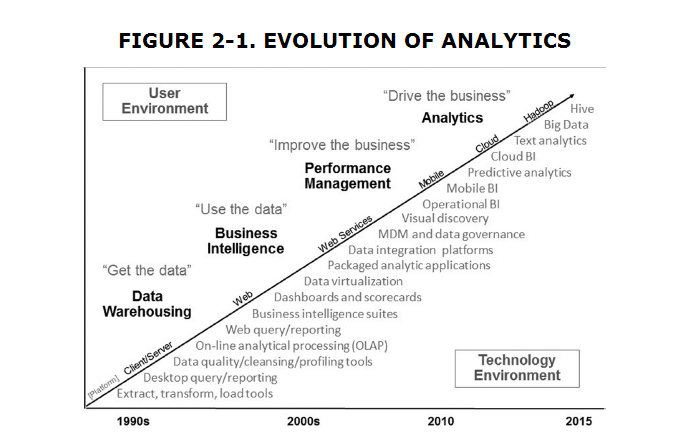 BTW, big data is not always about big data. It is an umbrella term to cover different areas that deal with deriving value out of data. Posted on March 31, 2014 Categories BookLog2 Comments on Book: What Is Data Science? The world is opening up with possibilities for people who are quantitatively minded and interested in putting their brains to work to solve the world’s problems. I consider it my goal to help these students to become critical thinkers, creative solvers of problems (even those that have not yet been identified), and curious question askers. While I myself may never build a mathematical model that is a piece of the cure for cancer, or identifies the underlying mystery of autism, or that prevents terrorist attacks, I like to think that I’m doing my part by teaching students who might one day do these things. 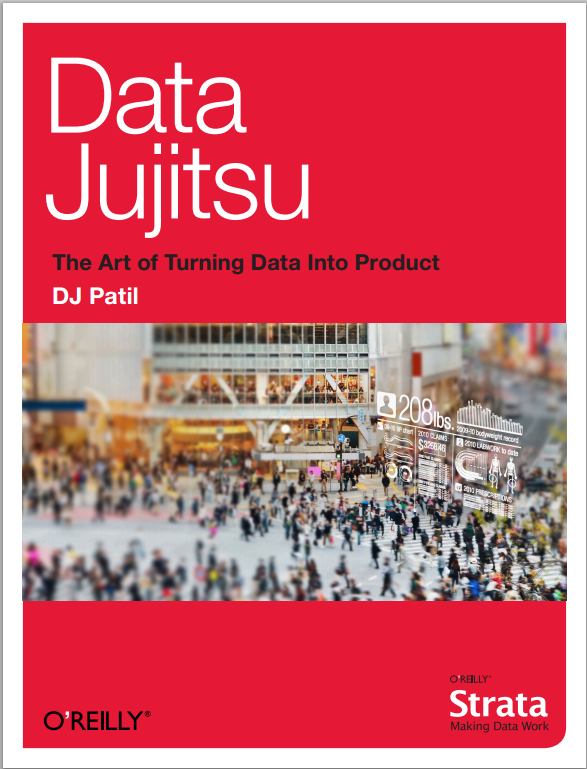 And by writing this book, I’m expanding my reach to an even wider audience of data scientists who I hope will be inspired by this book, or learn tools in it, to make the world better and not worse. The solutions to all the world’s problems may not lie in data and technology—and in fact, the mark of a good data scientist is someone who can identify problems that can be solved with data and is well-versed in the tools of modeling and code. But I do believe that interdisciplinary teams of people that include a data-savvy, quantitatively minded, coding-literate problem-solver (let’s call that person a “data scientist”) could go a long way.